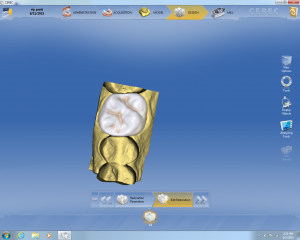 Yesterday, we were presented with a fun case. This very pleasant man came in with a broken upper left molar. Fortunately, he had no pain. There was just barely enough tooth structure allowing us to restore this with a crown. 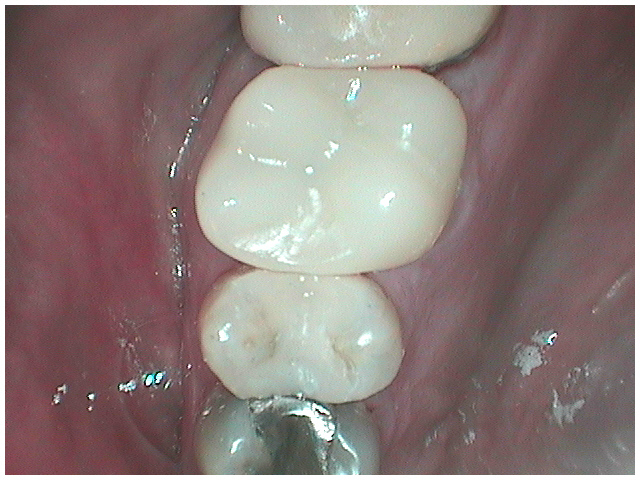 The tooth in front of it also needed a filling, so we went ahead and treated both teeth at the same time. 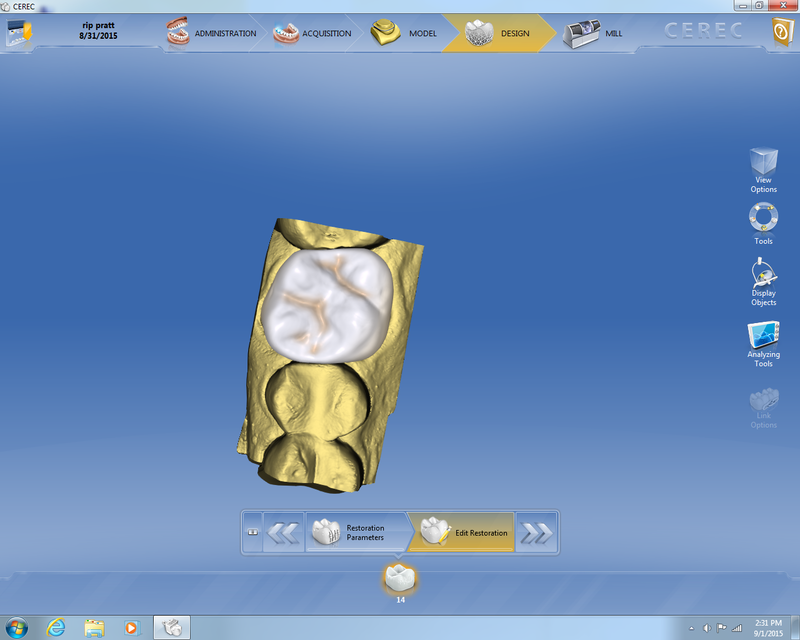 Using our Cerec Machine, we imaged the teeth and designed a new crown. 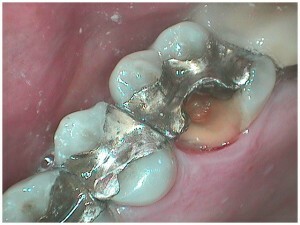 The whole procedure took about an hour and a half, and our happy patient was thrilled to have such a beautiful result completed in one visit.